Solana Resort is one of the most popular developments for rental homes in Disney area. A gated development with a clubhouse, complete with a community pool, gym, children’s play ground, volleyball court, game room, internet room, ping pong table and guest services. This luxury 6 bedroom and 5.5 bathroom villa features the 1st master bedroom downstairs with a king size bed, roman tub and TV. Upstairs you will find 5 bedrooms, 3 of which are master bedrooms, all with en suite bathrooms and TV. There is the 2nd master bedroom with a king bed. The 3rd and 4th master bedroom have 2 queens. The other two are twin rooms. The game room has a pool table dart game and TV. The formal dining table sits 6 people and formal living room sits 5 people. For a more casual meals & entertaining there is a breakfast nook and family room with a flat screen TV. South facing heated pool and spa and covered lanai backing to wall allow you to relax and enjoy gorgeous Florida sunshine with privacy. 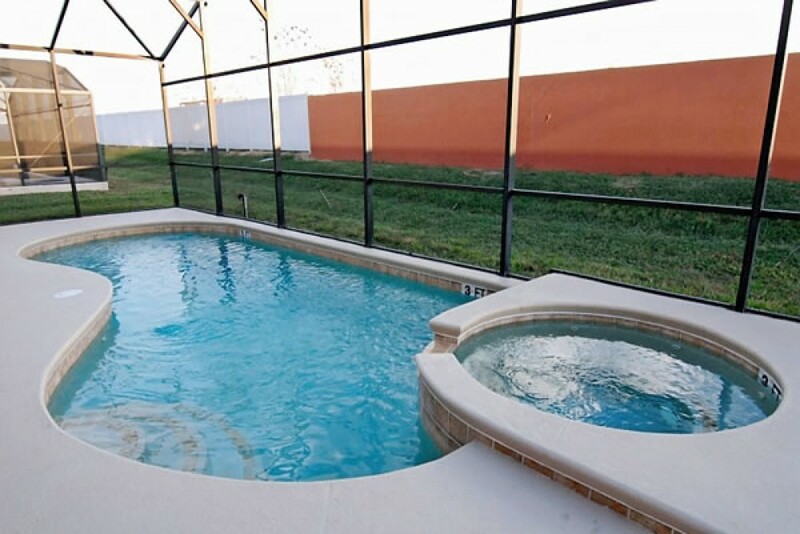 Solana Palms villa is located less than 10 minutes drive from Highway 192, Kissimmee and Interstate 4, where you can access all of Orlando's main attractions, from theme parks, golf courts, to shopping malls. For eating out in the evening you have a wide variety to choose from when you take a short drive to Highway 192.